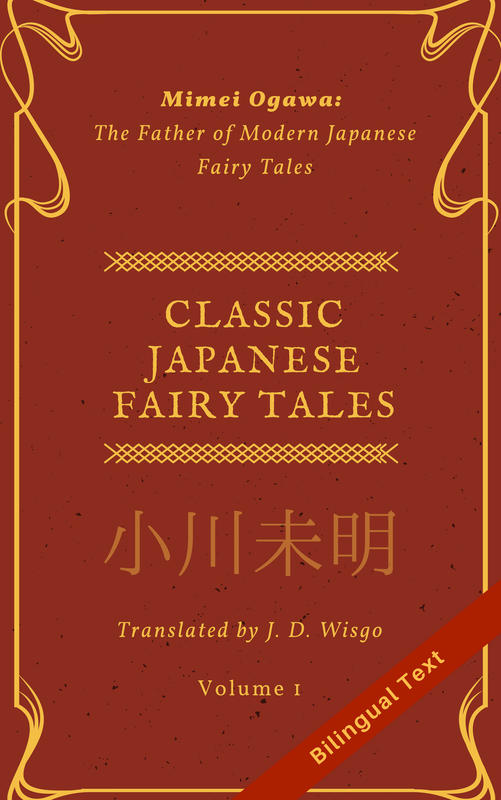 Early this year, I published my first ebook: a translated collection of works by the Japanese science fiction author Juza Unno （海野十三). That book contained five short stories that I thought were worthy of English translation, selected from the author’s ~200 works. After publishing this book, I immediately began work on the second volume, which I actually had planned from several months ago. Volume 2 of Science: Hopes & Fears contains a single novella (“Eighteen O’Clock Music Bath”) which is considered one of Juza Unno’s most famous works. It is set in a dystopian society where technology is used to control the populace, taking away some freedoms while granting others. As a big fan of dystopian literature, I was really happy to discover this story and be the first to publish an English translation of it. (To be fair, I should not say I “discovered” it because this story has been referenced at least as long back as 1996, for example in this book). Besides the dystopian angle, the author has packed many technological ideas into this story: androids, using music as a means of mind control, video phones, “electric makeup” via hormone manipulation, and more. It really amazed me to see these things in a story from 1937. I recommend this book for anyone who is a fan of dystopian literature, in particular classics like 1984 (George Orwell) and Brave New World (Aldous Huxley). I’d like to thank my wife as well as Yeti (from Shosetsu Ninja) and Sherayuki for all their help doing proofreading and translation check for this book. You can find a little more information about the book here. I saw your comment on this from the comment section of your previous release. I’m interested to read this second volume, but I thought I would ask, are you planning to release this on the iBookstore as well? That happens to be my preferred platform. Either way, congratulations on another successful release! 4) Draft2Digital (which I use to publish it on iBooks) has a minimum amount before I get any payments, and I am far from reaching that. This means that I may never get paid for some of the sales (or it may take a long time). Maybe you can tell me why you prefer iBooks over Amazon. That would give me more data to help me decide. Thank you for the reply! I definitely think those reasons are understandable. My own preference for using iBooks is mostly one of convenience. I prefer the interface on iBooks, though that may only be the result of my being more familiar with it. It was the app that introduced me to ebooks. As a result, I also have a larger library through that particular storefront, and it’s my go-to app when I think about looking for an ebook that I own, so sometimes it takes me a while to remember certain books are only available in my Kindle library. Finally, I must admit to some residual antipathy towards Amazon for the way it handled international purchasing. When I was living in Japan it was much easier to buy both Japanese and English language books through iBooks than it was through Amazon Kindle, where I had to designate a unique email address to a Japan-specific account in order to purchase Japanese-language books, locking me out of purchasing many English books, and it was difficult to consolidate my library after returning to the States. Certainly, though, your reasons for not publishing with iBooks outweigh my own preference for using that storefront. I’ll take a look for the book on Amazon. Yeah, I have had a similar share of problems with Japanese books on Amazon Japan, so I totally get what you mean. Thanks for checking out my book!